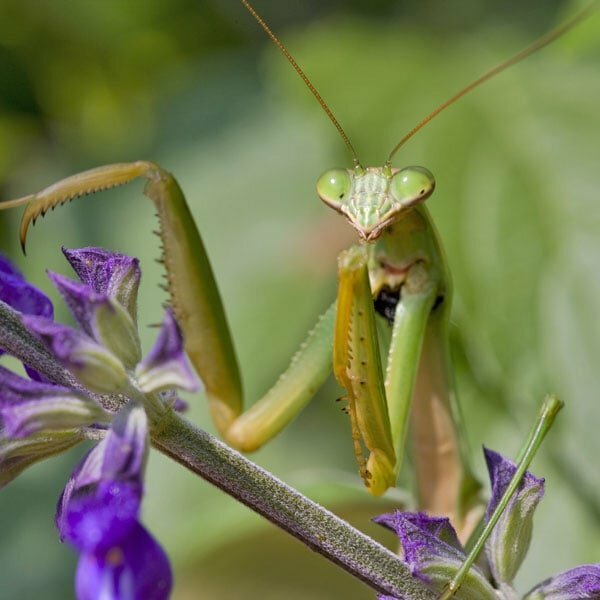 Probably the best know beneficial insect, the praying mantis (Tenodera aridifolia sinensis) gets its name from its two thick front legs lined with spikes for grasping prey. 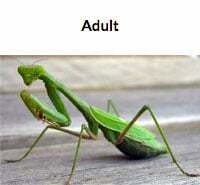 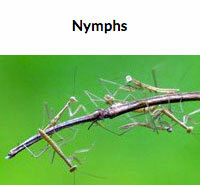 It is quick to strike and will eat just about any insect, bad and good, including wasps and bees. 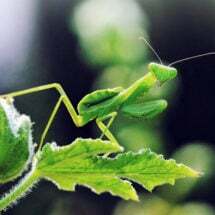 Shop our large selection of beneficial insects, including praying mantis, at Planet Natural. 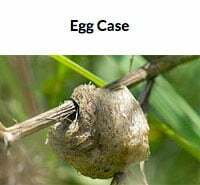 One small bag — 3 egg cases — treats an average size garden for $13.50 with USPS First-Class Mail shipping included!